Cosmetically the EVOLUTION 50CD is similar to the EVOLUTION 50A integrated amplifier; its slim case and luxurious front panel is finished in either black or silver brushed aluminium and deeply engraved. Also like the matching amp, the EVOLUTION 50CD uses a custom soft push button arrangement that offers excellent tactile feel. Each button is backlit with a white LED to clearly display usable functions, for optimum user-friendliness. 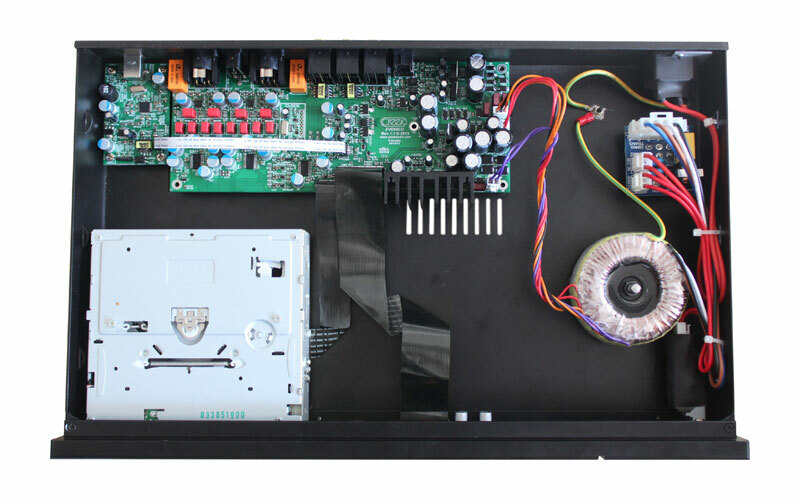 Demand for Digital to Analogue Converters (DACs) has increased proportionally to the demise of dedicated CD Players. To fully realise the potential sonic benefits of streaming music files from a computer, asynchronous USB Class 2 audio support is vital. The USB circuit is modular to allow for future upgrades, as the technology is constantly evolving. 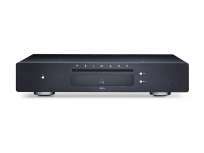 The EVOLUTION 50CD is principally a high-end DAC, with built-in CD transport and is not purely a CD Player. It can handle a total of six digital sources, including CD, and it has two digital outputs, plus a Creek RC bus. In keeping with the matching integrated amplifier, both balanced and un-balanced analogue outputs are offered for maximum flexibility. Balanced outputs allow for long interconnects. Creeks Senior Engineer, David Gamble, was responsible for the overall design and development of the EVOLUTION 50CD, together with Dominik Peklo who consulted on the digital architecture and development of the unique new CD transport and software stack. In keeping with earlier Creek products, the EVOLUTION 50CD uses an over-specified toroidal mains transformer, with separate windings for analogue and digital circuitry and low magnetic field for excellent noise rejection. Multiple low-impedance power supply capacitors and voltage regulators are used to optimise the performance. Organic polymer capacitors are used in key analogue and digital circuitry, plus high grade WIMA polypropylene capacitors are used in the output filters. This is the first Creek digital product to feature two top-of-the-range Wolfson 24 Bit 192 kHz DAC ICs, running in double differential mode, to extract the maximum possible performance. The EVOLUTION 50CD uses custom, low jitter, clocks for top performance at all sample rates. No additional software drivers are needed. 2 x RCA un-balanced, 2.0V RMS.